The Securities and Exchange Commission of Pakistan (SECP), to facilitate the corporate sector, has amended the Single Member Companies (SMC) Rules, 2003. SMC Rules were earlier introduced in Pakistan in 2002. The detailed-framework for registration of SMCs was provided vide Single Member Companies Rules, 2003, according to statement issued by SECP. The SMC Rules were aimed to allow single persons/businessmen to convert their non-corporate entities into companies with limited liability of the members and enabling them to deal with public entities as companies rather than individuals. After the elapse of significant period, need was felt to upgrade the SMCs rules and make the pre-incorporation procedures simple and easy for compliance. The amendments have been made in light of feedback received from the business community. In the recent amendments, the requirements of nominee and alternate nominee directors as well as particulars and documents of the legal heirs of the Single Member have been deleted from the SMC Rules, thus this information are no more required in forming SMC. 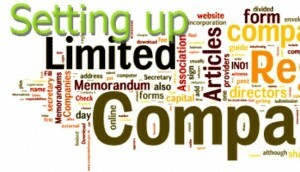 Furthermore, a provision for incorporation of SMC by corporate legal person has been inserted. In case of death of single member, the role of secretary has been strengthened. The amended Rules have provided a hassle free regulatory mechanism and entrepreneurs have started taking benefit of these amendments and a number of companies are being registered. It is envisaged that the amendments shall help in flourishing further growth of SMCs. To read the original SMC Rules 2013 CLICK HERE.